What is Knit Fabric in Textile Sector? Knitted fabrics are used for the manufacture of knit garments such as polo shirt, T-shirt, sweater, sportswear, swim wear, children’s wear, under garments etc. items. 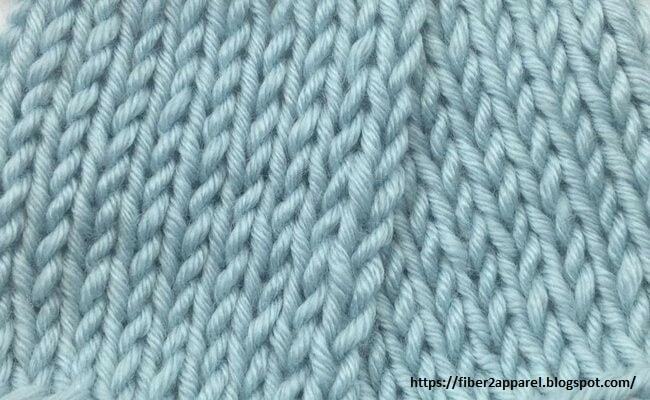 Characteristics of knit garments are influenced by the construction, specification and properties of the knit garments. 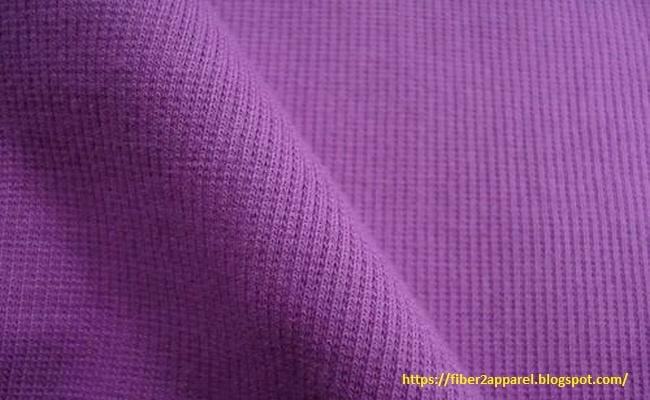 The most simple knit fabric structure is termed as plain or single jersey fabric. In this type of fabric structure, all the loops intermesh in the same direction and the fabrics has a different appearance on each side. The side to which the loops appear pulled through is termed as the “Face” or “Technical face”. The side from which the loops appear pushed away is termed as “Back” or “Technical back”. 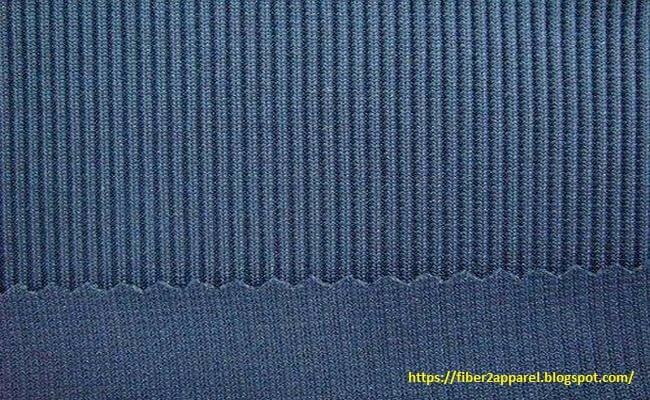 Rib fabrics are another type of weft knitted plain fabrics. The rib fabrics are composed of loops formed in opposite directions and when viewed from any side, both face and back loops are prominent. All the loops of any wales are of same type that is either all back or all face. When the fabric is relaxed, it collapses to a situation of alternate wales touching one another. The wales in between are hidden but shows on the reverse side of the fabric. Rib fabrics are used where portions of grommets are expected to cling to the shape of the human body but capable of stretching when required. Main area of use f rib fabrics are waist band, cuff and collar. Extensibility of rib fabric may be up to 120% in the course direction. Purl fabrics is also a weft knitted fabric. The simplest type of purl fabric consists of courses of face loops alternating with courses of back loops. This is termed as 1*1 purl fabrics. This type of fabric has a large vertical extensibility which is largely elastic, depending on the fabric used and the yarn construction. The fabric is bulky and shows excellent thermal insulation properties. 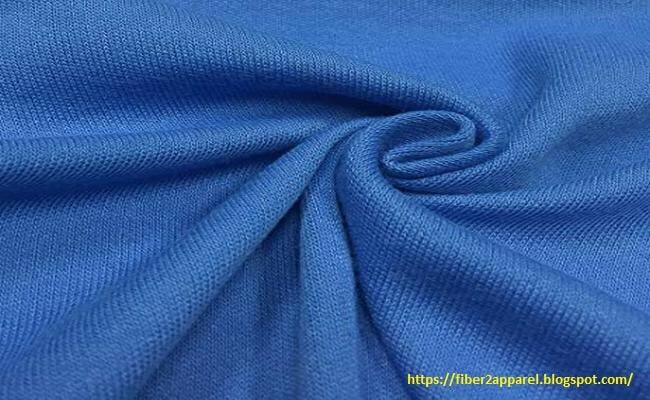 This type of fabric has the technical face of plain fabric on both sides of the fabric. But, its smooth surface cannot be stretched out to reveal the reverse meshed loop wales because the wales on each side are exactly opposite to each other and are locked together. In this type of knit fabric, each interlock pattern row needs two feeder courses, each with a different yarn that knits on separate alternate knitting needles, producing two half-gauge 1*1 rib courses whose sinker loops cross over each other. Thus odd feeder will produce alternate wales of loops on each side and even feeder will produce the other wales. Interlock fabric relaxes about 30-40% or more, when compared with its knitted width. A 30 inch diameter circular knitting machine will produce 94 inches open width fabric after slitting the tubular fabrics. But after finishing the 94 inches grey width will produce 60-66 inches finished with fabric. It is a balanced, smooth, stable structure that lies flat without curling.